(BPT) – You can feel it in the air: The ski and snowboard season has arrived, and some areas in the U.S. are already open for business. As snow sports continue to gain popularity, millions of people will be hitting the slopes this winter. During the 2016-17 ski season, the National Ski Areas Association (NSAA) reported that U.S. ski areas tallied an estimated 54.7 million skier and snowboarder visits, up 3.7 percent from the previous season’s 52.8 million total. 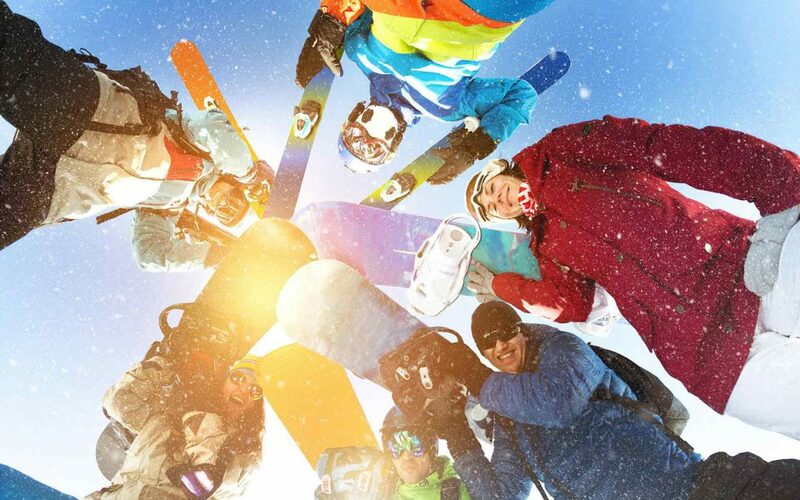 With the increase in skier and rider visits, safety is always a top concern. Substantial growth in the number of skiers and riders wearing helmets has made participation in snow sports safer, along with awareness and education campaigns that emphasize the responsibility each skier and rider has every time they take to the slopes. For example, The NSAA and Craig Hospital, a world-renowned rehabilitation and research hospital in Denver for people who have sustained a spinal cord and/or brain injury, are partnering to promote several industry safety campaigns: #RideAnotherDay and ParkSmart. Eighty percent of skiers and snowboarders wore helmets during the most recent ski season, setting yet another record for helmet usage at ski areas across the country. While helmets can help to reduce or prevent certain injuries, they are not foolproof, and there are other safety concerns while skiing. Proving that helmets alone do not prevent all injuries, data from Craig Hospital shows an increase in the number of patients admitted each year from snow sports accidents (up 50 percent in 2017 over 2012). Kelli Johnson, along with her daughter Elise, inspired the #RideAnotherDay campaign. On the day before Christmas in 2010, Kelli was skiing in northern Wyoming near their home with her oldest child, Elise, 5. When Kelli stopped to help Elise put her ski back on, a snowboarder traveling at more than 50 mph collided with them. The accident was devastating. Elise and the 23-year-old snowboarder died instantly, and Kelli sustained a traumatic brain injury and paralyzed arm. After months of rehabilitating at Craig Hospital, learning to walk, eat and swallow, Kelli has made a remarkable recovery, although she still has some paralysis on the right side of her body. To honor their daughter and create a lasting legacy, Kelli and her husband, Chauncy, partnered with the NSAA to launch a safety campaign titled #RideAnotherDay. These types of accidents, while horrific, are rare. In fact, during the 2015-16 season, only 39 fatalities occurred at U.S. ski areas out of the 52.8 million skier/snowboarder days reported for the season. To put that in perspective, more than 1,000 people died from bicycle collisions with automobiles during that same time. * Be ready to avoid objects and other skiers. * Maintain a safe speed and always ski in control. * Stay alert to what’s going on around you, especially other skiers and riders. * Plan ahead and ease up at blind spots, check uphill when merging onto trails and give others plenty of room when passing. * Start small — Work your way up. Build your skills. Know your limits and ability level and select the appropriate freestyle terrain for you. * Make a plan — Every feature. Every time. Some features are set up to be used one after the other, without stopping, and others individually; jumps are for jumping and rail takeoffs are for using the rail. * Always look — Before you drop. * Respect — The features and other users. * Take it easy — Know your limits. Land on your feet. Learning how to ski and ride safely and understanding the rules and etiquette of the mountain can help ensure a fun, safe season on the slopes. For more information on the #RideAnotherDay campaign or ParkSmart, visit NSAA.org.